We’ve update our “Feeding Tips” card! 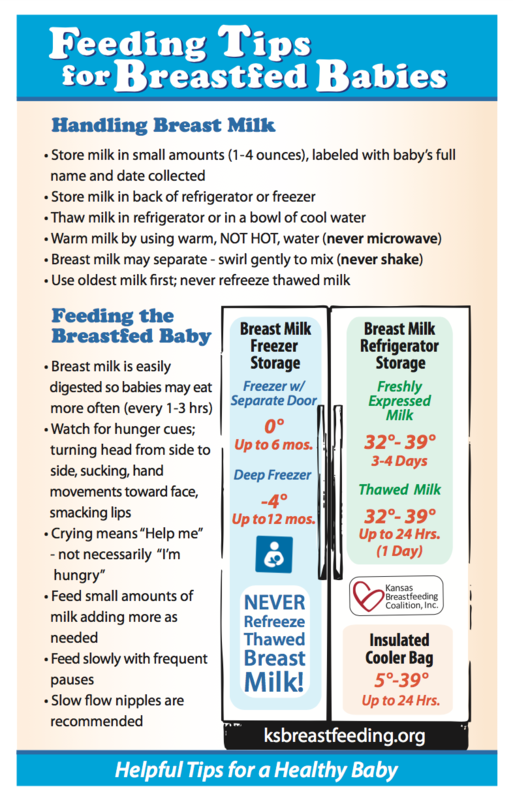 The updated cards align with new breastmilk storage guidelines from USDA/WIC and the Child and Adult Care Food Program. WHAT’S NEW? – Freshly expressed breast milk may be stored in the refrigerator for 3-4 days. The “Feeding Tips” cards are FREE. To order, email Brenda Bandy at bbandy@ksbreastfeeding.org or download from our Resources page.